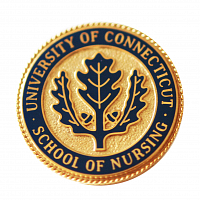 There are standing committees in the SON and Ad Hoc committees that may be appointed by the Dean or elected by the School of Nursing faculty that invite student membership/participation. The Undergraduate Leadership Council meets twice per semester and is made up of the class officers, organizational officers, Nursing Learning Community representatives, and Mentoring program representatives. Student Government has been a part of the University Community since 1894. USG exists to represent and advocate for undergraduate students, oversee student fee revenue, and enhance the general University of Connecticut Community. This is an organization run by graduate students for graduate students. The Council is composed of representatives from the various fields of study offered by the University. The executive board of the Council is chosen from and elected by the representatives. The Council’s activities can be classified in three areas: social, service, and political. The Council also operates an interest-free emergency loan fund available to all graduate students. The duration of the loan is 60 days, and the maximum limit is $200. For more information on the Council’s activities refer to the University of Connecticut Graduate Students’ Handbook. Students wishing to represent the School of Nursing on the Council should contract a member of the Executive Board. The Council’s Administrative Office is located in Room 318 of the Whetten Graduate Center. Copies of the Handbook and information on the loan fund can be obtained at this office. The phone number is 486-3709. The Council Chambers and Executive Board Office are located in room 201 of the Graduate Center. As one of the five deliberative bodies at this University, the Graduate Student Senate (GSS) is the sole body charged with the representation of graduate students on issues concerning the university’s community and administration. The purpose of the Honors Program is to encourage and support the beginning development of scholarship in undergraduate nursing students. Honor students conduct a research study while working closely with their faculty advisor. This experience provides them with an opportunity to critically examine a phenomenon of interest to them. Actively participating in the research process not only enhances students’ nursing practice, but also lays the foundation for future graduate studies. The honors students usually disseminate their findings through such mechanisms as professional presentations and manuscript publication. The Honors Program sponsors a number of events and opportunities throughout the academic year to broaden students’ undergraduate experience. For information on Honors opportunities at the University of Connecticut visit their website. For questions or comments about the School of Nursing Honors Program contact: professor Deborah McDonald PhD, RN or visit the SON Honors Program online. The UConn School of Nursing chapter of Sigma Theta Tau, Mu Chapter, sponsors several events each year that enrich the student experience by presenting programs focusing on scholarship and research in nursing.